These destinations shine in the summer. Summer is peak travel season in many parts of the world, but some destinations particularly shine during the warmer months. Many cities in the far Northern Hemisphere are cold to freezing for much of the year, and summertime brings some much-needed respite that allows tourists to explore without a chill. In the Southern Hemisphere, you’ll find warm destinations that have cooled down a bit for what is actually their winter, which means you’ll have a summer trip that doesn’t involve much sweating. An important part of travel planning is knowing where to go and when, and if you’re looking for a summer trip, it’s a good idea to check out these spots that are only worth visiting during the summertime. 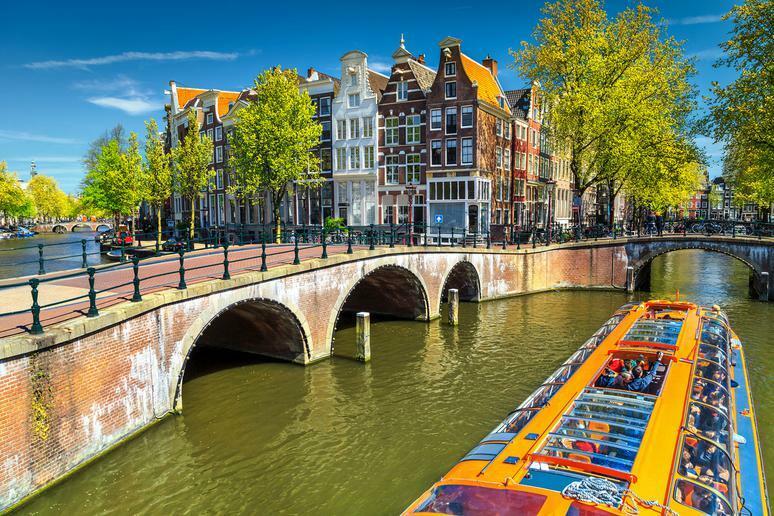 There’s a very good reason that summer is peak travel season in Amsterdam. Temperatures average in the high 60s and low 70s, and a vast majority of the country’s more than 300 annual festivals occur during this period to take advantage of the fantastic weather, with celebrations of culture, food, art and music happening almost every weekend. Enjoy the city’s impressive food scene outside, as restaurants and bars tend to go alfresco with the nice weather. A top destination with much to do and see, Iceland shines in the summer. Visit in June so that you can join the Independency Day festivities on June 17 as well as experience the parties and 72 hours of continuous sunlight that comes with the summer solstice. 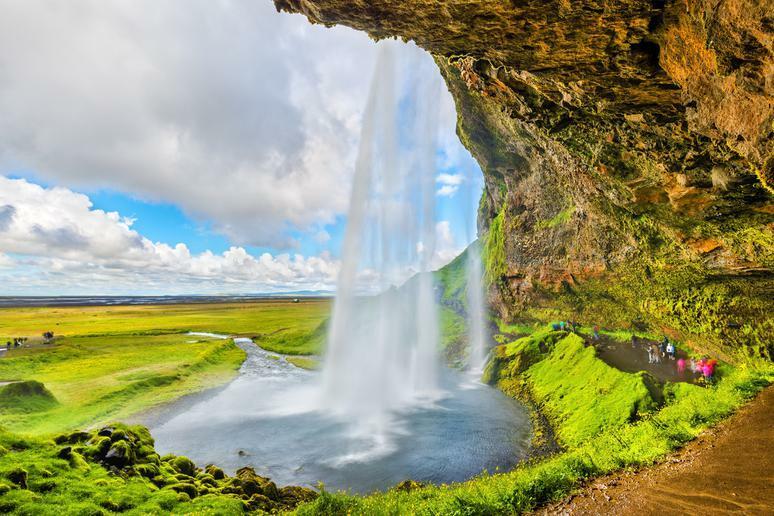 Summer is a great time to visit the Snaefellsnes Peninsula, filled with gorgeous landscapes of volcanoes, glaciers and wild horses, or the 60-foot Skógafoss Waterfall, which has a pool at the bottom. Situated on top of a mountain ridge in the southwestern Himalayas, Shimla is a historical and magical mountaintop town with stunning views. 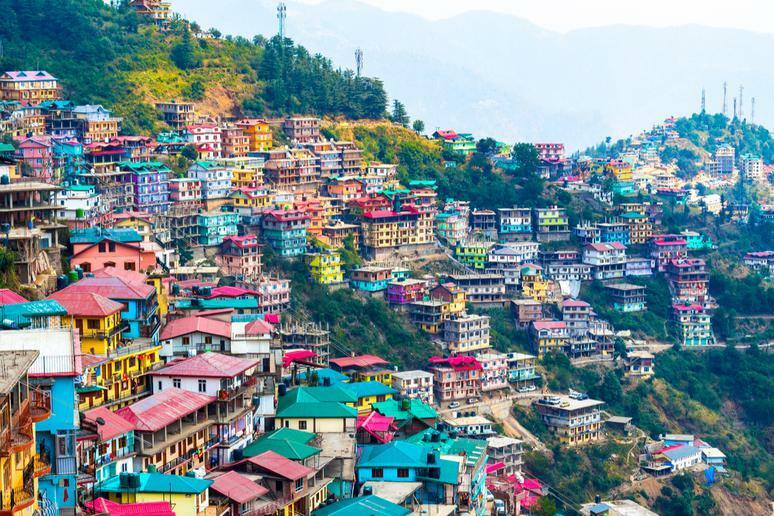 In the 19th century, British officials were drawn to the area due to its mild climate, and they turned Shimla into a resort town that eventually became the summer capital of the British Raj. Take the Kalka-Shimla Railway line up to the city for breathtaking views, and discover the town’s neo-Gothic and Tudorbethan colonial architecture. The town’s many festivals and local arts and crafts, however, showcase that the local culture is alive and well here. Temperatures are more comfortable and daylight hours are much longer during the summer in Helsinki. 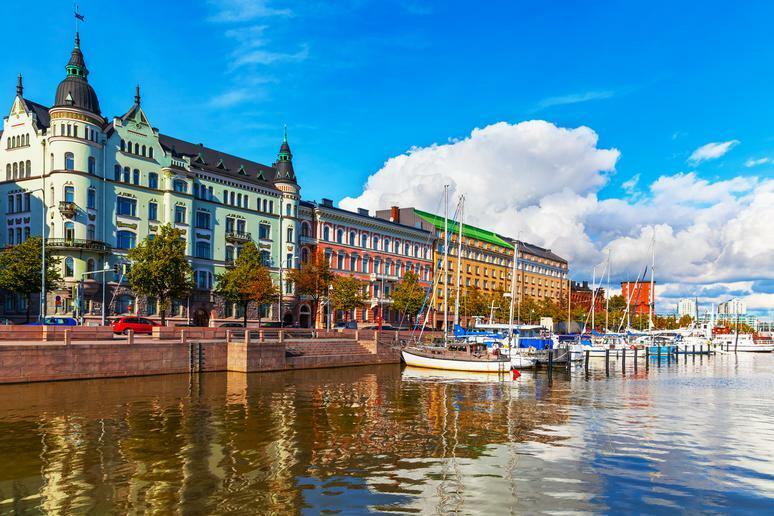 Home to many outdoor bars and cafés, Helsinki is one of the safest tourist spots in the world, so you can truly enjoy the city’s interesting museums and beautiful parks as well as the majestic sea fortress of Suomenlinna in comfortable weather that stays around the mid-60s. Home of deep-dish and the wonderful Navy Pier, Chicago winters have been especially freezing in recent years, which means summer is the time to go. 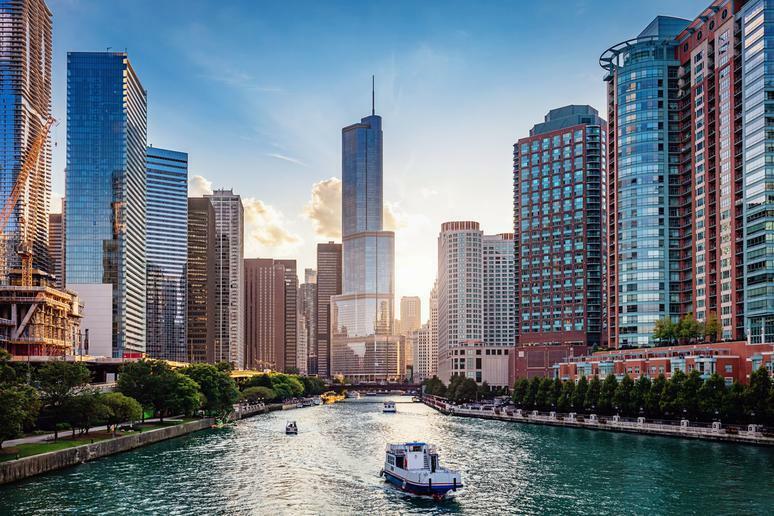 Enjoy Lake Michigan and the area’s boating opportunities, as well as the city’s festivals, most notably Lollapalooza and Chicago Jazz Festival. 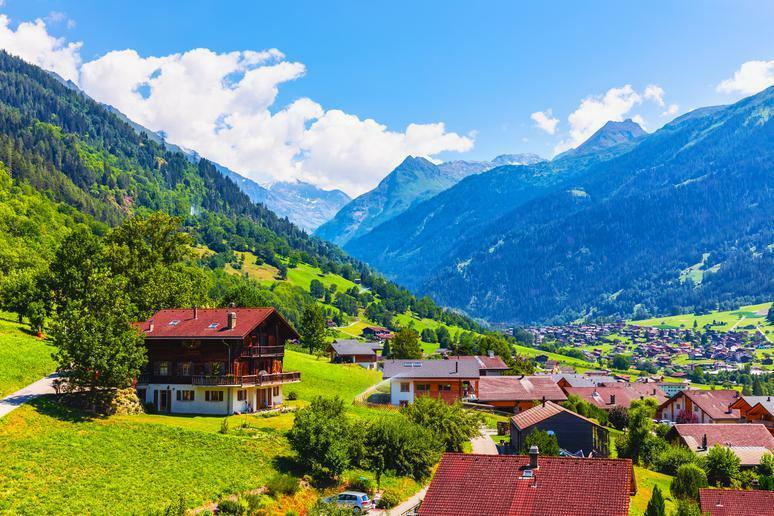 Enjoy all of Switzerland’s mountain scenery, rolling hills, and fantastic lakes in the summer season. It’s the perfect time to check out the many castles, abbeys, and churches that dot the country, as well as villages influenced by the cultures of nearby France, Germany and Italy. Made up of England, Scotland, Wales and Northern Ireland, the United Kingdom is best seen in the summer, as much of it is cold and rainy throughout a significant part of the year. 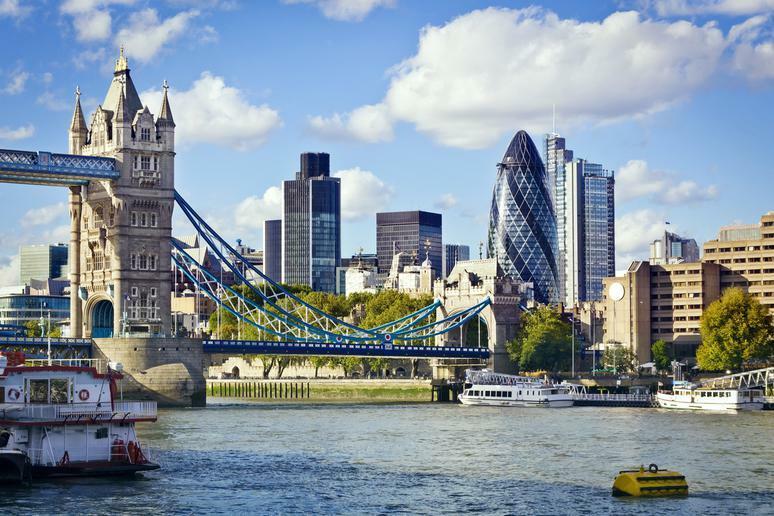 Explore the famous and historic city of London, the music and arts scene of Manchester, the political and historical monuments of Belfast, amazing Welsh culture in Cardiff, and Scottish heritage and history in Edinburgh. The season brings with it many festivals, events, and markets throughout the U.K., as well as average temperatures between the high 60s and mid-60s. 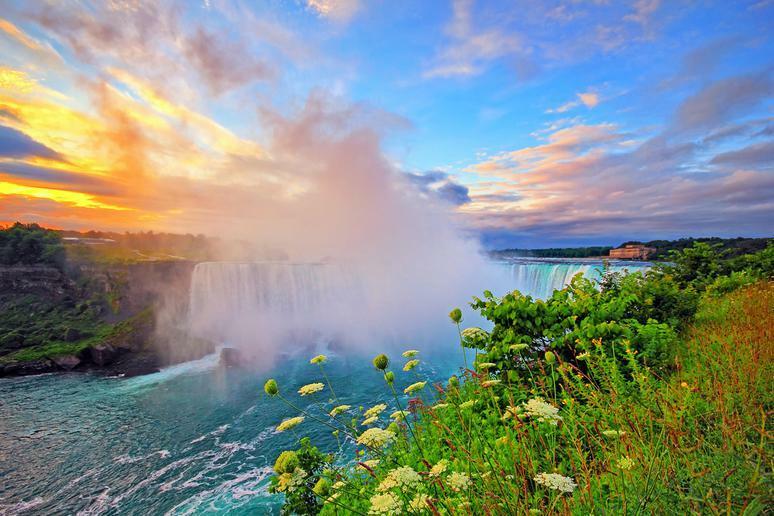 One of the most beautiful waterfalls in the world, Niagara Falls can completely freeze over in the winter. Summer is the best time to enjoy these falls and not have to worry about feeling cold as you enjoy their mist, either up close from a boat or from a distance. Both sides also have plenty of attractions to enjoy in front of the falls, such as museums, restaurants and stores. Tallinn is a seriously underrated European destination, but for those in the know, summer is the most popular season and for good reason. 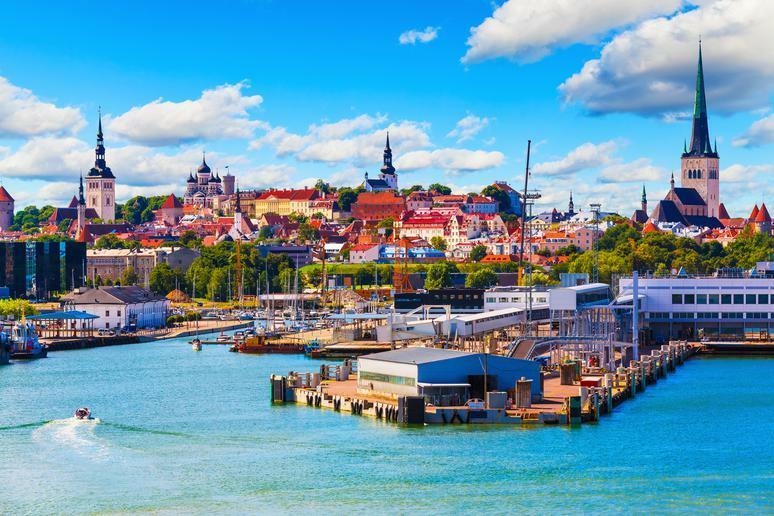 The Estonian capital comes to life in the warmer months, with multiple festivals of music, art and culture and wonderful beaches and parks for locals and tourists to enjoy. Tallinn’s history goes back to medieval times, a fact that’s quite apparent in the cobbled streets and medieval-era houses of its gorgeous Old City. 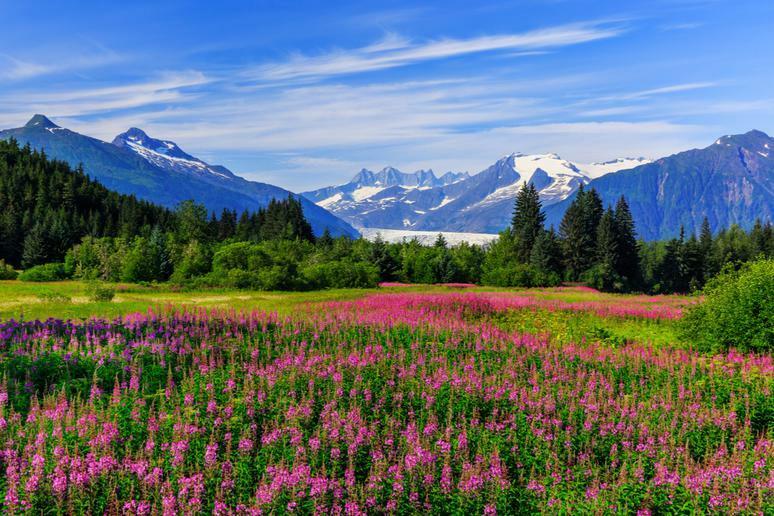 The adventures in Alaska are plentiful all year round, but summer finally brings with it more sunshine and flowers in bloom. The days are 18 hours long, but you’ll find temperatures averaging around just 60 degrees in big cities like Anchorage. 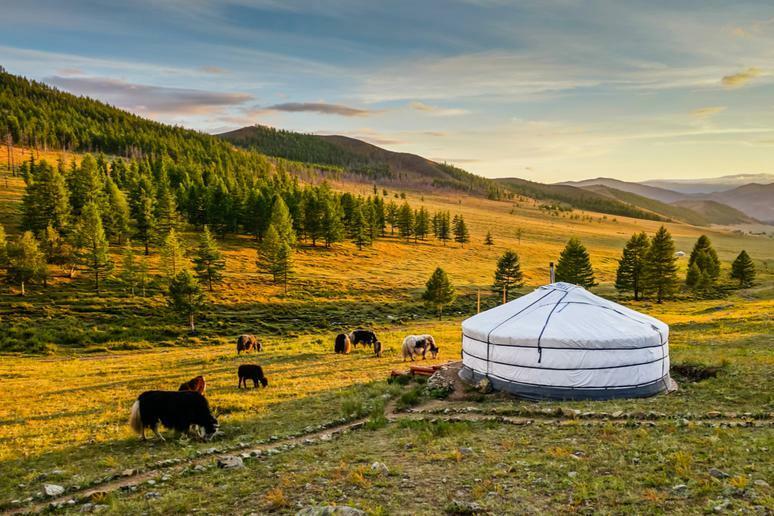 Mongolia is a mind-blowing adventure destination that not enough people consider. Temperatures are freezing most of the year, with some parts falling as low as minus 40 degrees Fahrenheit in the winter. Summers are in the far more bearable 60s and 70s, meaning you can enjoy sites like the Zaisan Memorial and Gorkhi-Terelj National Park. Explore historic palaces, hike up a volcano, or relax in hot springs. Newport is a romantic small town that’s far more enjoyable in the warmer months, making it one of the most popular Northeastern destinations of the season. Catch some of the most beautiful views of the Eastern Seaboard with a stroll down Newport’s famous cliff walk, a three-and-a-half-mile public walkway lined by the town’s famous mansions. 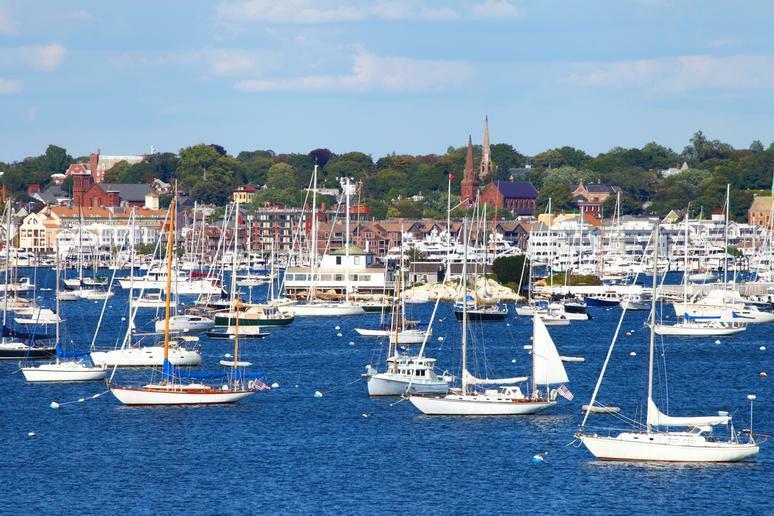 Summer is also a great time to go for a drive, and if you go down the 10-mile Ocean Drive, you’ll find yourself passing some of Newport’s best sights. An underrated adventure destination, not only does South Africa have safaris and beaches, but it’s also home to a thriving city life and some fascinating historical sites. As a country in the Southern Hemisphere, it’s actually winter here when it’s summer in the northern part of the globe. That means that tourist traffic is at its lowest, making airfare and hotels cheaper, and the weather is at its coolest — which is still quite warm, with temperature highs averaging in the upper 60s and going no lower than the upper 30s. 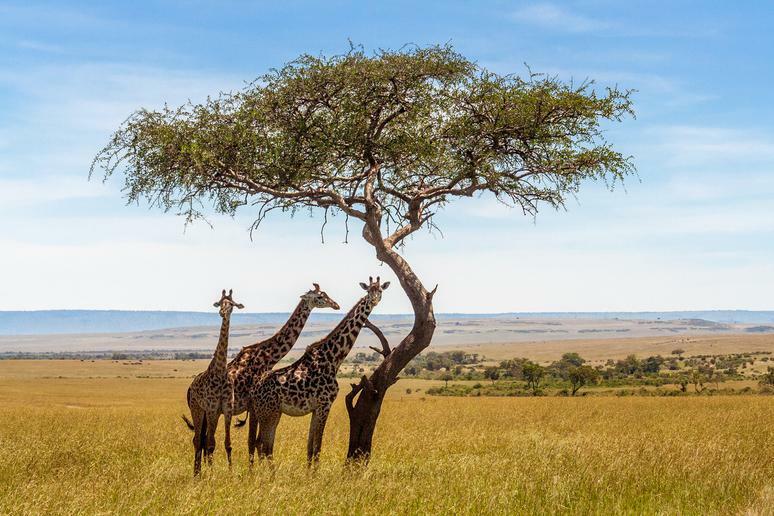 It’s also dry season, which means you’re more likely to find animals at water sources and be able to see them with shorter grass and barer trees when you go on a safari. 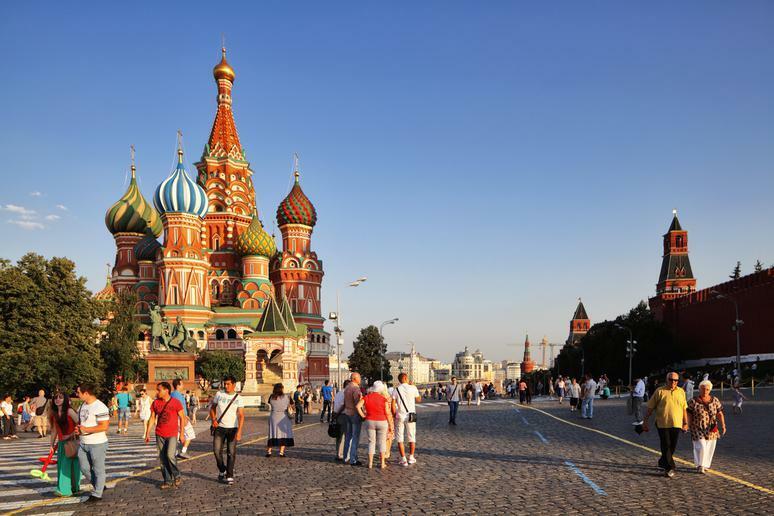 Moscow is one of those places you just have to see in your lifetime, and with almost nine centuries of eventful and varied history, it’s home to some amazing architecture and a fascinatingly diverse culture. Winter is freezing here, so take the time to enjoy the summer in the city’s beautiful parks and gardens, as well as to explore the famous Red Square. 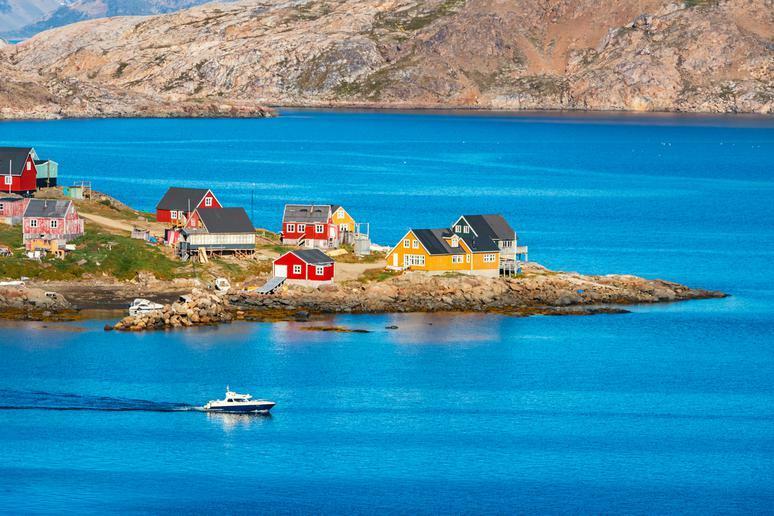 North America’s northernmost country, Greenland is freezing for most of the year and average summer temperatures only reach about 50 degrees, which is the warmest you’re going to get. Enjoy the island’s majestic mountains and glaciers, as well as its unique cuisine and the amazing northern lights. Not only does summer mean fewer crowds in Greenland, but it also means a chance to see the midnight sun, a phenomenon in which the northern two-thirds of the island experiences sunlight for days or even weeks on end. 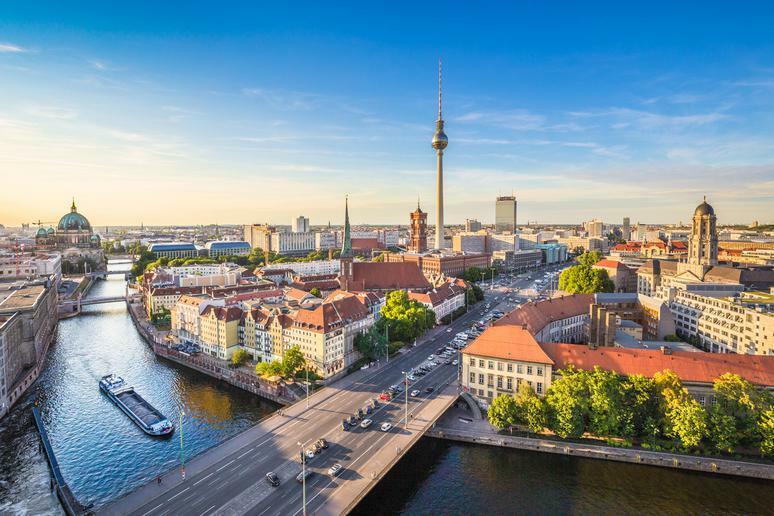 Berlin is filled with culture and history, and with the summer sun shining on Germany, the season is a great time to visit the iconic Brandenburg Gate and the remnants of the Berlin Wall. The city is home to 175 museums that reflect the city and country’s rich history, as well as plenty of galleries that make up an impressive art scene. As it’s made up of 14 islands and more than 50 bridges, Stockholm’s watery and northern location means it’s best visited in the summer. Enjoy pleasant temperatures averaging in the low 70s, and up to 18 hours of sunlight for visitors to enjoy freshwater swimming and sailing in the Baltic Sea. Celebrate the summer solstice by attending the Midsummer festival, and enjoy the city’s ports, boat tours, beautiful architecture and hiking and biking opportunities. 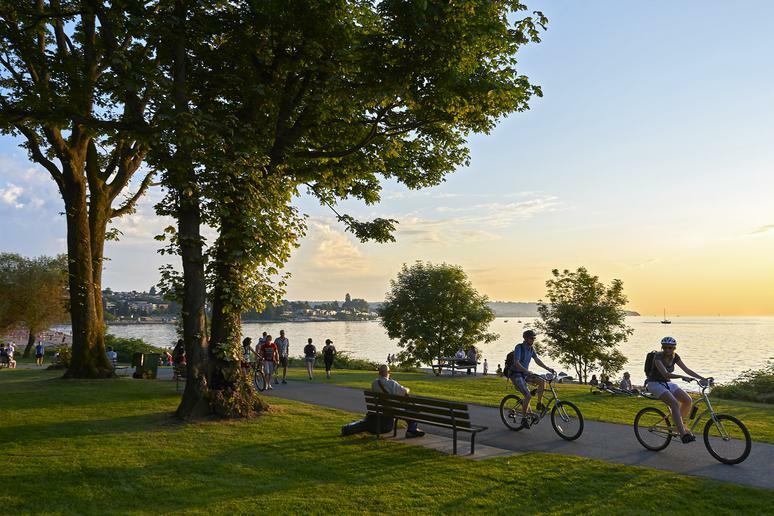 Vancouver is a great destination to spend a sunny weekend, located on the other side of the border but not far from Seattle or Portland. Located between the Pacific Ocean and the Coast Mountains, the city has a natural beauty that’s best enjoyed when it’s comfortable outdoors. Because it’s a major seaport, many cruise ships leave from here in the summer, and the city’s calm beaches are frequented by locals and tourists alike. 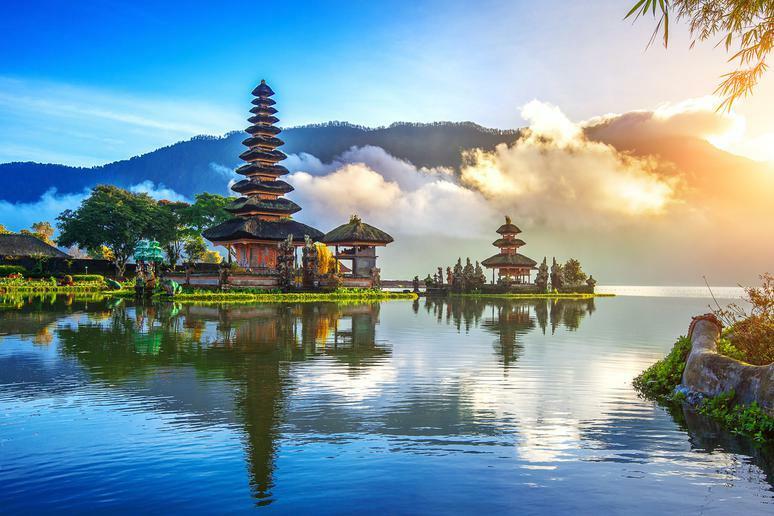 With Indonesia experiencing its wet season from October through April, you’ll find the best weather in gorgeous Bali is in the summer, when temperatures average in the 80s. A favorite of travel bloggers, the Southeast Asian island has beaches, mountains and volcanoes for you to explore and take amazing photos of. Go biking in the mountains or hiking in the jungle, or try your hand at activities such as paragliding, sea walking, kayaking and more. Enjoy the great outdoors of this eco-friendly city during the summer when high temperatures average in the low 60s, making this a perfect destination to beat the heat. 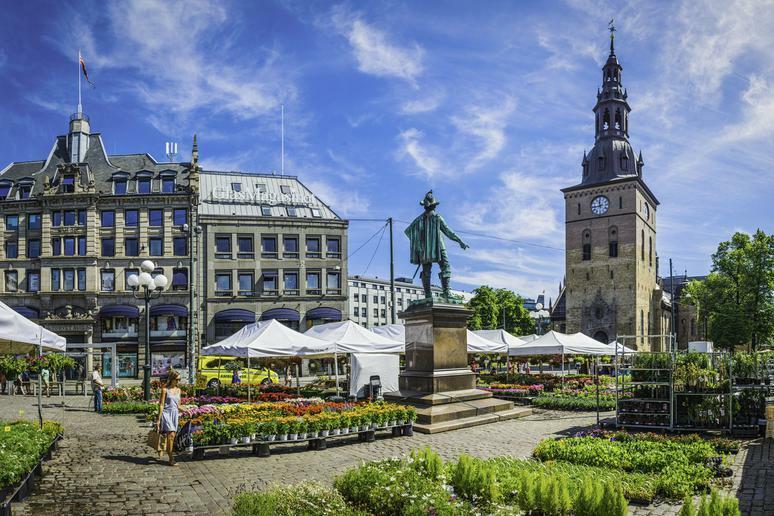 Enjoy summer at Tivoli Gardens, where flowers are in bloom and it’s not too cold to enjoy the rides and open-air concerts. 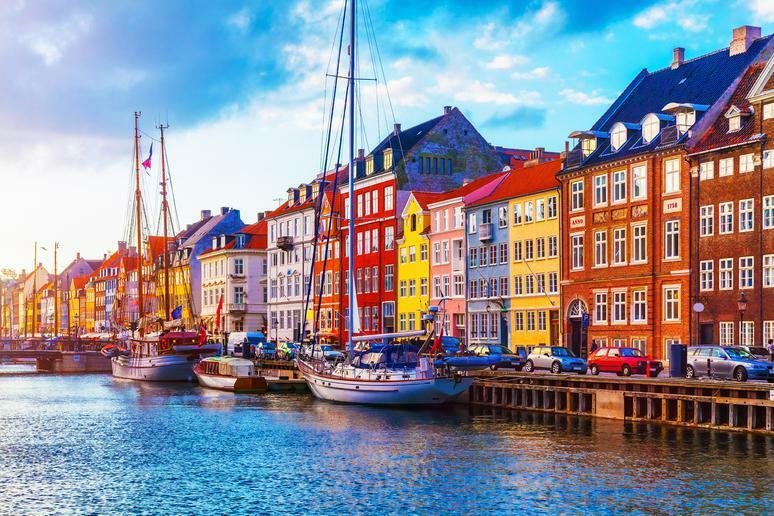 Just outside the city lies the Danish Riviera, where you can enjoy a gorgeous coast, as well as the island of Funen, birthplace of famous writer Hans Christian Anderson and home to many picturesque gardens, manors and castles. 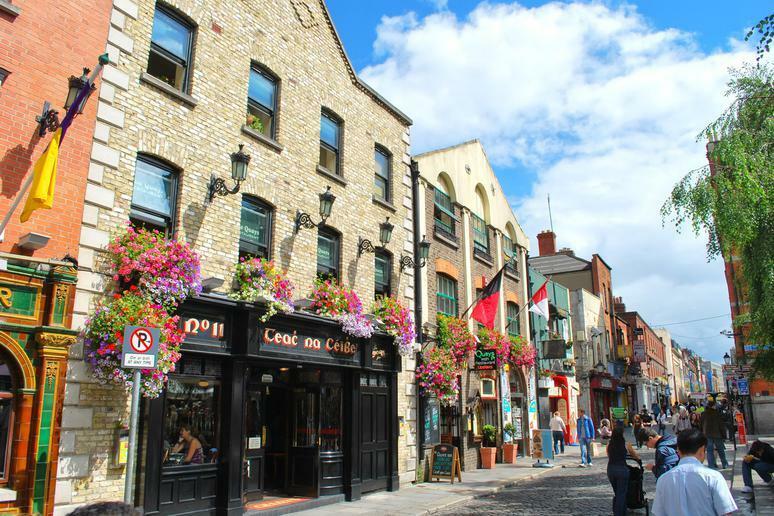 There are many magical places in Ireland, and the Emerald Isle is at its greenest and liveliest in the summer. The season is the best time for a drive or a hike through the Irish countryside, and the island has an abundance of beaches that are best enjoyed this time of year as well. Summertime also means festivals celebrating music, art and food for locals and visitors to enjoy. 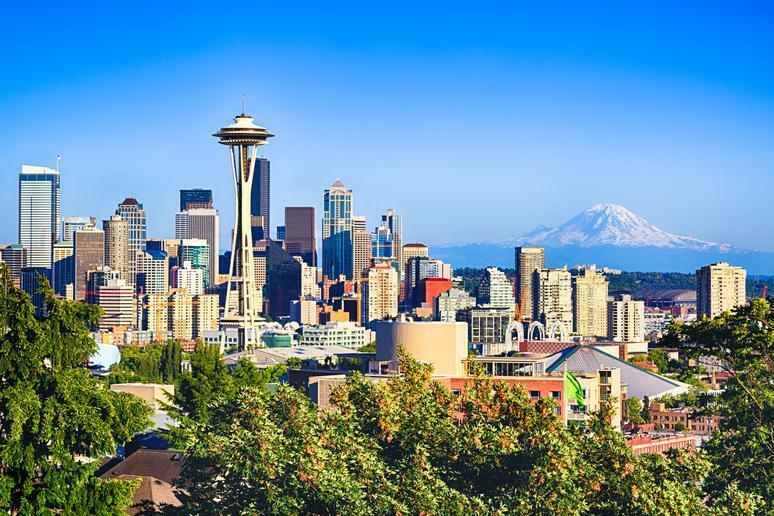 Seattle is one of the best cities in America for outdoor enthusiasts, so come when you can make the most of its opportunities. The beautiful Pacific Northwestern city is home to the North Cascades, perfect for hiking, and Puget Sound, where you should try paddling. Surrounded by water, Seattle is a great spot to go canoeing, kayaking, sailing, jetskiing, kiteboarding and more. Oslo is a great place for a summer adventure, as the warmer months mean that the city’s museums and parks are more likely to be open. 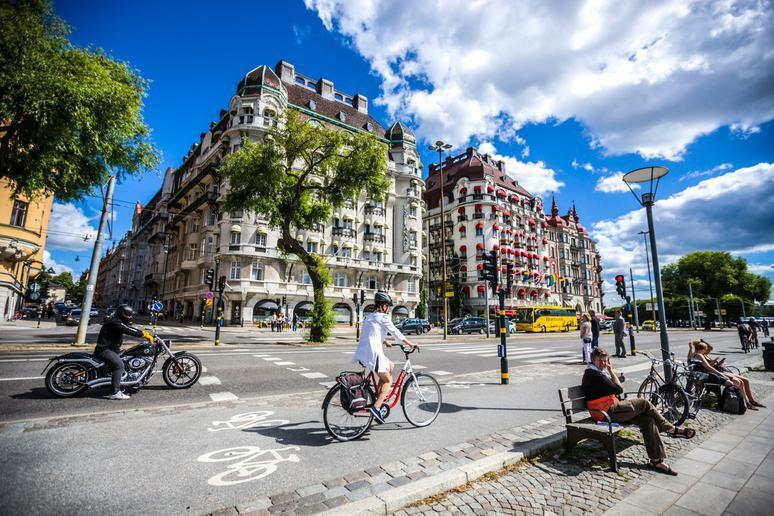 Temperatures are in the mid-60s, so you won’t be sweating too much as you enjoy Oslo’s restaurants and cafes filled with fantastic food and coffee. Go island-hopping in the Oslo Fjord and you’ll find breathtaking ocean views against a backdrop of majestic mountains. 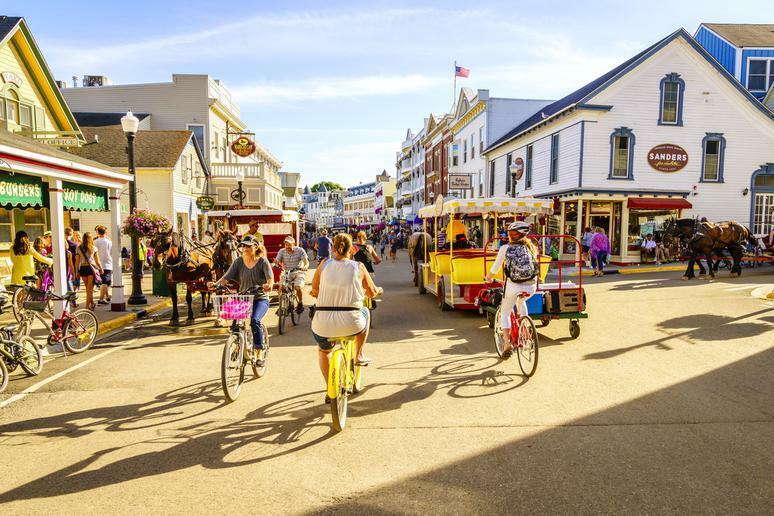 A trip to Mackinac Island is like stepping into a history book, thanks to its Victorian charm and ban on motor vehicles. Biking, hiking, paddling and horse-riding are all popular activities during the summertime on this fantastic island, and tours of the island are available on foot, bike or even kayak. Enjoy the island’s famous fudge among many historic sites and quaint stores. 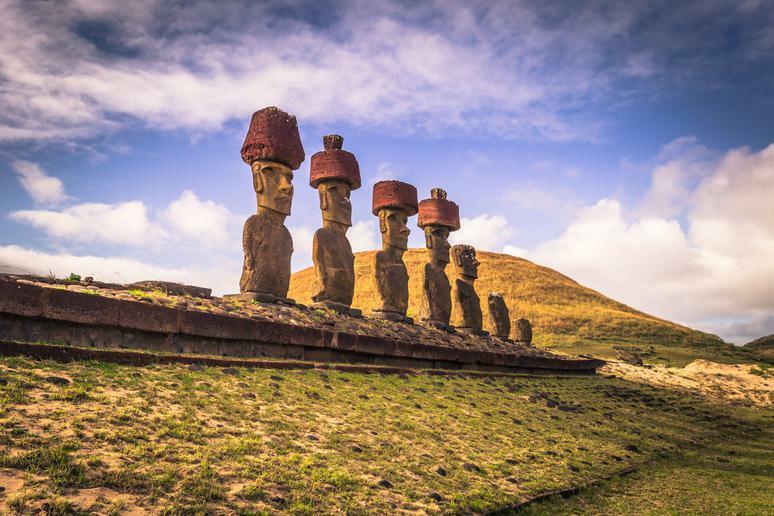 During the Nothern Hemisphere’s summer months, Rapa Nui — or Easter Island, as it’s commonly known — is experiencing winter, but the temperatures are still in the low to mid-60s. This makes the island quite pleasant to enjoy as you discover the famous large-headed figures around the island, called moai, or soak up some sun and sand at Anakena Beach, one of the best beaches in the world.